Ready for a swim? 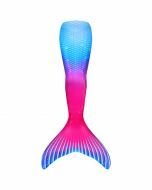 We know you’ll adore the beautiful ombre blend of pink, purple, and blue colors with seashell accents featured on this trendy mermaid towel! 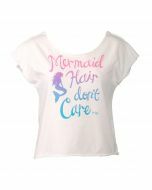 Plus, the stylish lettering that reads “Mermaid Hair Don’t Care” will let your pool pals know you’re there to play, not to primp! 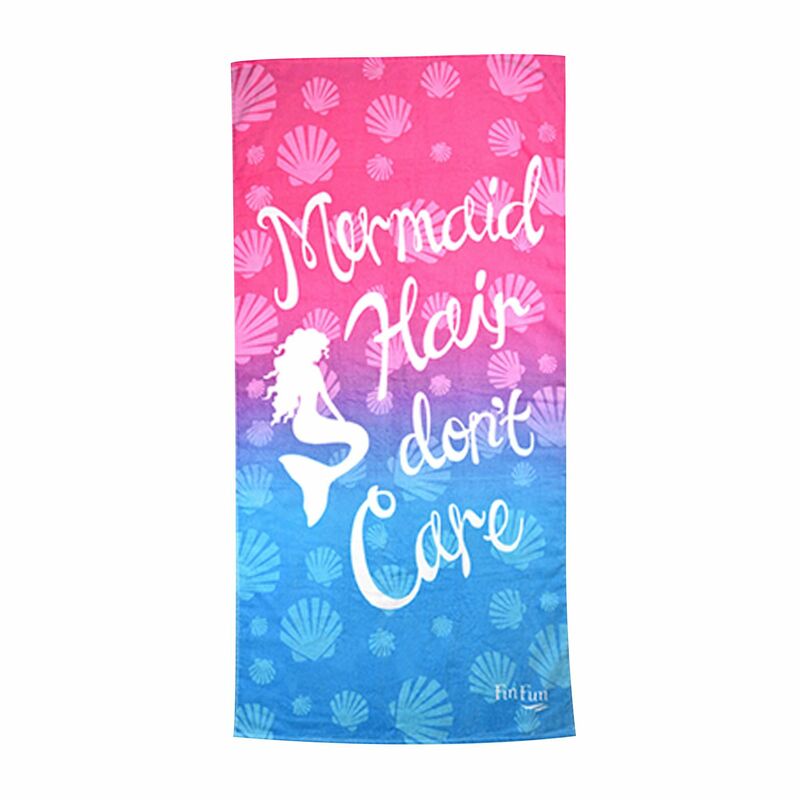 You wouldn’t leave home without your mermaid tail, so why would you forget your mermaid beach towel? 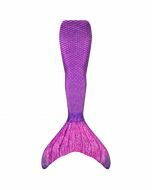 Make a splash at your next pool party carrying your mermaid-themed beach towel from Fin Fun! 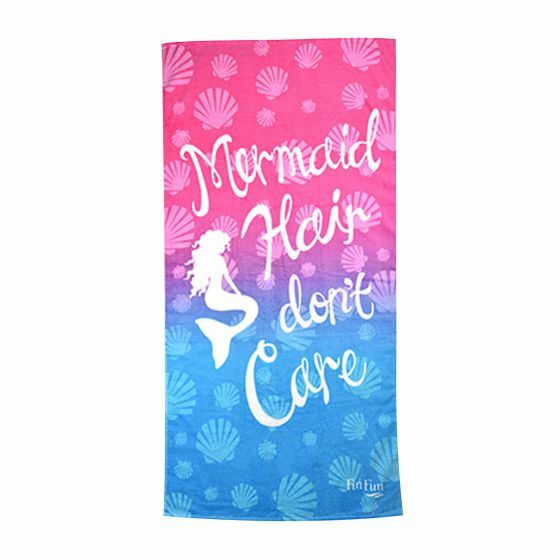 Featuring a whimsical mermaid silhouette, scattered seashells, and script-style lettering amidst a lively ombre color scheme, this towel will take your mermaid style to the next level. 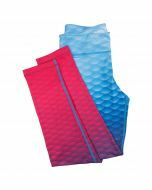 You’ll marvel at the vibrant colors that go from pink to purple to blue in this fun design. 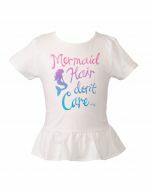 Care Instructions: Machine wash warm with like colors. Tumble dry low. To keep all colors true, do not bleach!